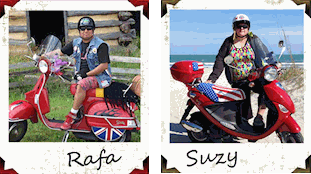 Mod checkers are one of the iconic symbols of the scooter community. 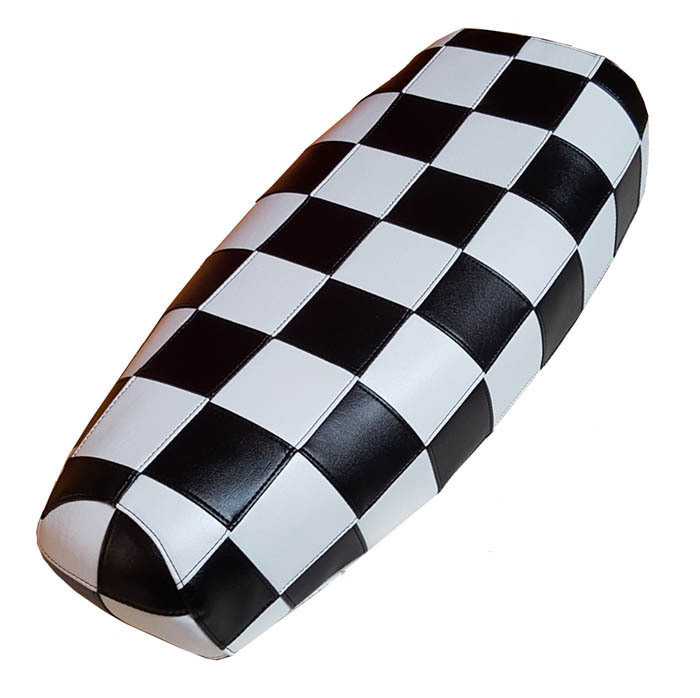 We love black and white checks, we simply can't get enough of them! If you want your scooter to get noticed, this is the seat cover for you. This is not a printed material. 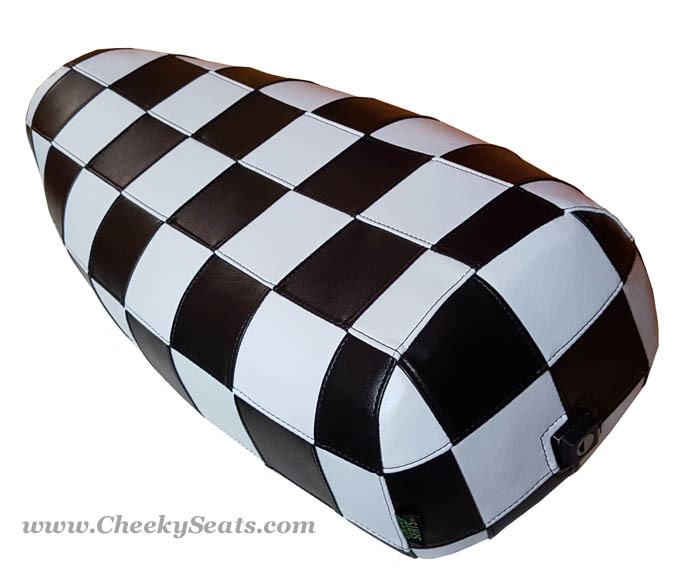 Our Ultimate Mod seat cover is meticulously hand cut and stitched together square by square, and then we do an additional pass of top stitching. This makes for an incredibly strong, waterproof seat cover that will last for years in any weather condition. 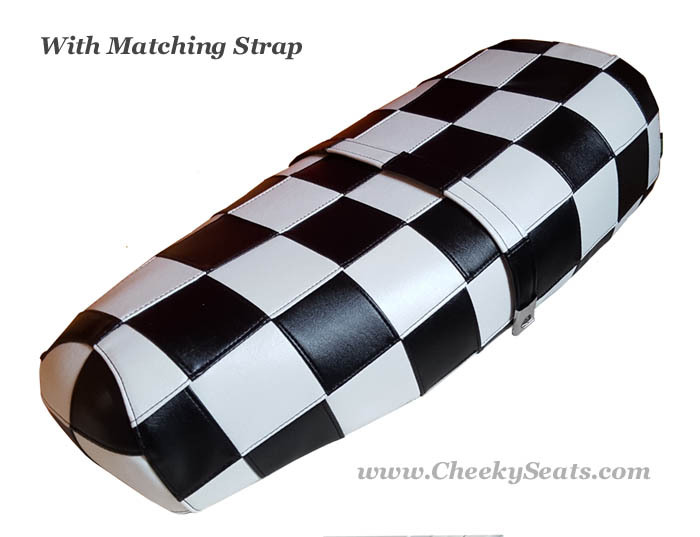 You can order a matching strap by selecting that option, and we also offer a "half pipe" version of this seat cover, with only the top in squares in our Top Looks.